Just maybe three to four days of break from fish, and fish bounces back again in this space of mine. What? Are you going like what, fish again? Guys, hang in there before you jump the gun. It is not going to be a boring (Tofu Katsu, Cauliflower Pakora, Crispy Fried Okra & Mushroom Rolls) fish recipe (Malabar Fish Curry) I will assure you because we are heading towards this Macher Chop, aka Bengali Style Fish Croquettes (Bengali Fish Curry) and of course I must as usual, give you options to other fish recipes as well (Fish Soy Sauce & Lemon Butter Salmon). 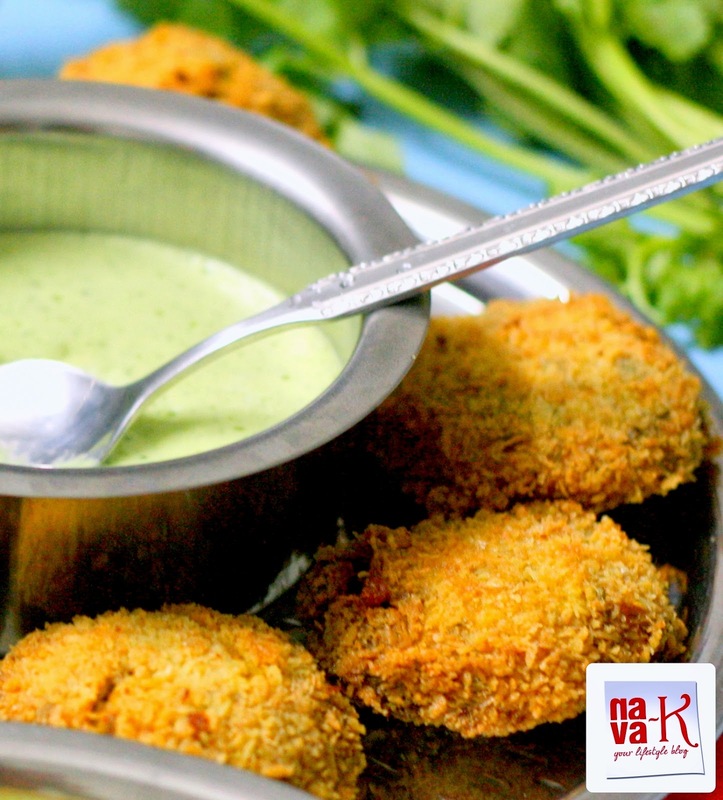 Macher Chop can also be known as fish cutlets (Tuna Cutlets) and most probably, if we are talking about the ingredients, basically, its ingredients from whichever part of India the recipe originated from? If you are asking me, yes and I went ahead with making a curd coriander chutney for dipping crispy on the outside and soft bite inside (Chinese Prawn Fritters, Lamb Patties, Lamb Kofta, Mushroom Veggie Patties & Tuna Patties) fish croquettes which I seriously believe you will love each and every bite, each and every pop, each and every crunch, and all of the deliciousness. Either as your snack, or appetizer, or starter, or paired alongside rice and other sides (Indian Potato Balls). ** Blend/process all the ingredients together. Combine and mix fish, potatoes, coriander powder, cumin powder, turmeric powder, pepper and salt. Dip into egg white and roll over breadcrumbs. Fry in batches for a crispy brown outer layer or till golden brown. Love the combination...always have been a big fan of fish cutlets! Mouth-watering pictures! wow looks so delicious! perfectly done cutlets! Oooo... cutlets are my favorite, u are tempting me Nava! 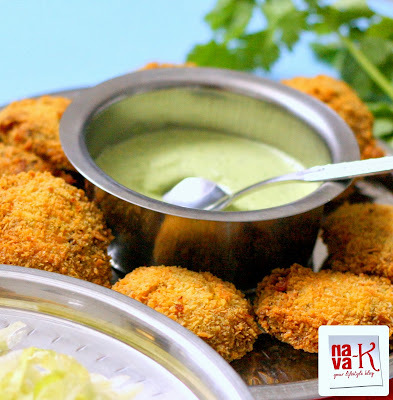 Perfectly made cutlet.. Easy and quick dip.. Love yogurt in any form.. Will try this dip for my veg cutlets. 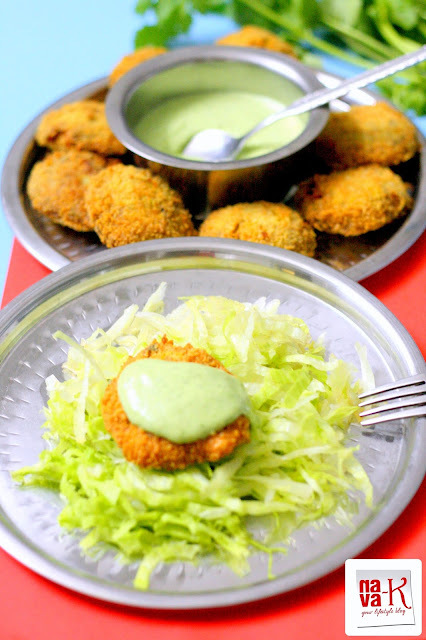 I dont eat fish but i am always looking for a nice recipe for chutnies ,will try yours..
Wow.. looking so delicious.. Nice pics..
Nava, this fish cutlets look great, and yes, perfectly with the coriander sauce...yum! Yummy. Love fish in any form. Thanks for sharing. yum!! It looks so delicious! ummm, that yogurt really looks enticing and surely would have tasted heavenly with the yummilicious cutlet. Hope all is well with you! This meal looks incredibly delicious! I love the perfect size and shape of the fish. I am up for anything deep fried but nothing beats fish. I can devour the ones in your pictures in seconds. They look delicious and the chutney takes it up by several notches. hi nava...been sometime since i dropped by at ur place yah...been so bc....the cutlets looks so tempting lah....the sauce too....hungry already!! Think I will try out this chutneyt recipe of yours to go with my roast this weekend. Wow Nava, simply love this recipe! !